By commission of Carlisle® Construction Materials bv the Institute of Horticulture, University of Applied Sciences Weihenstephan has tested our HERTALAN EPDM® roofing products. In this intensive, 2 year during test, the resistance to root damage of the flexible sheets hertalan easy cover and hertalan easy weld was determined. 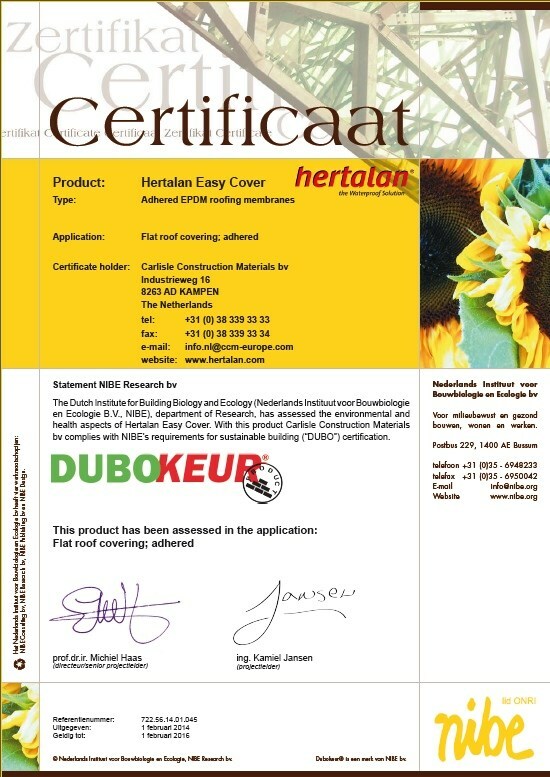 HERTALAN® products have been awarded the Dutch DUBOkeur® accreditation. The DUBOkeur® certificate proves that a product, material or property is an environmentally friendly choice. From reference lists of the participating elastomer EPDM producers SKZ selected 39 roofing projects in Germany, Austria, the Netherlands and Sweden, from late 90s ranging in age and installed between 1968 and 1996. From the samples taken, the mechanical properties were determined, such as hardness, tensile strength and elongation at break. On all roofs that were investigated, the EPDM roofing materials fulfil its function as waterproof membranes completely, the samples were visually no serious ageing visible. Final Outcome is based on the useful life Hertalan EPDM roofing> 50 years. HERTALAN® have been issued with a new BBA certificate (nr. 91/2728) which covers both our easy cover and easy weld roof waterproofing systems for ballasted, adhered and mechanically fastened applications. HERTALAN® was the first producer of EPDM membranes to gain full KOMO accreditation for all roofing systems used in the Netherlands. HERTALAN® have been issued with a ATG certificate for her EPDM systems for the Belgium market (nr. 07/2247). HERTALAN® is ISO9001 certified. 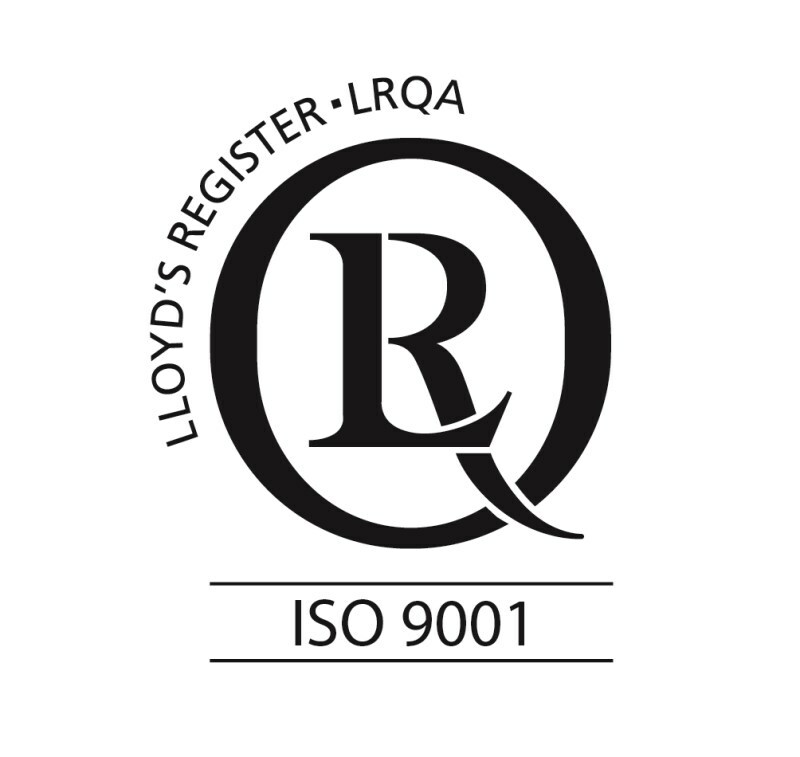 ISO 9001 Certification specifies requirements for the quality management system of HERTALAN®. HERTALAN® is ISO14001 certified. 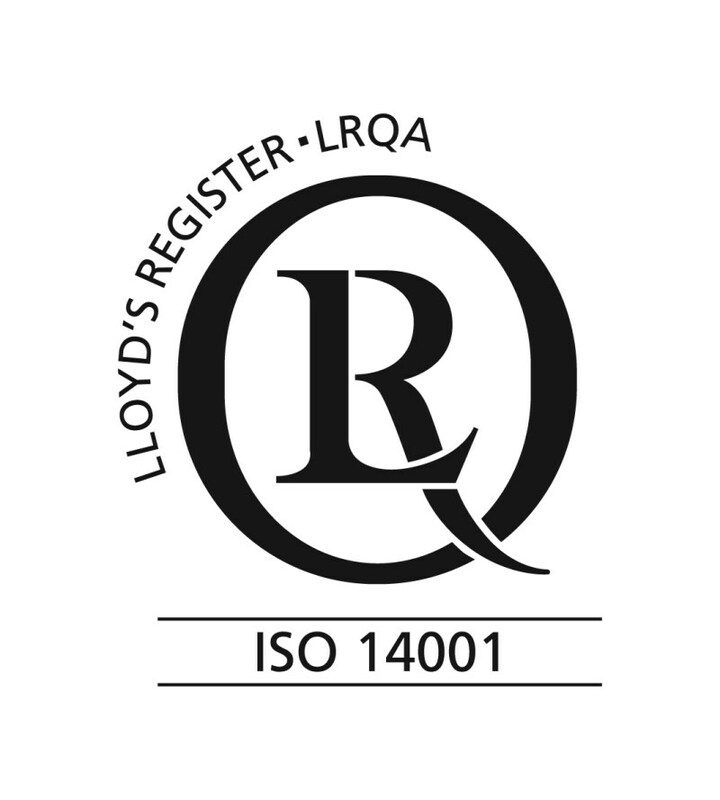 ISO 14001 Certification specifies requirements for the environmental management system of HERTALAN®.